I suppose people in Boston are as familiar with this story as Detroit is with the 69 riots, but I have to say it again – HOLY MOLASSES! 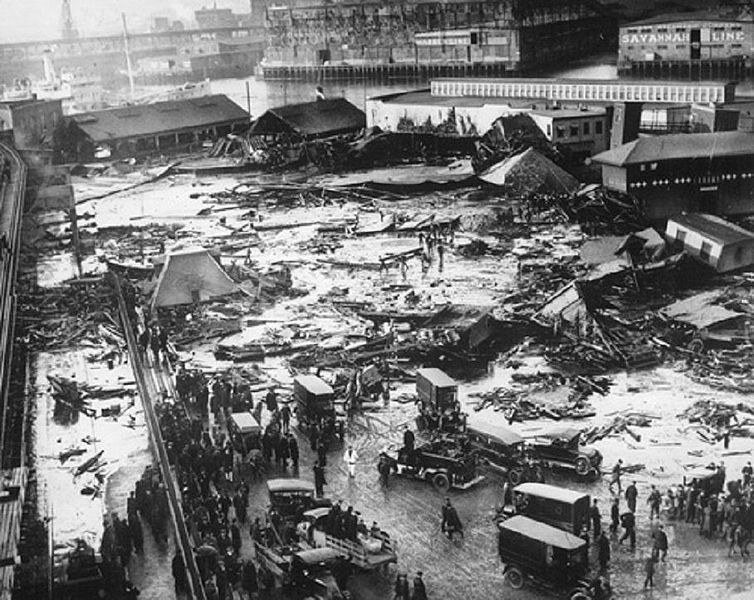 The Boston Molasses Disaster, also known as the Great Molasses Flood and the Great Boston Molasses Tragedy, occurred on January 15, 1919, in the North End neighborhood of Boston, Massachusetts in the United States. A large molasses storage tank burst, and a wave of molasses rushed through the streets at an estimated 35 mph (56 km/h), killing 21 and injuring 150. The event has entered local folklore, and residents claim that on hot summer days, the area still smells of molasses.